One of the Silent Soldiers, purchased to mark the 100th anniversary of the ending of the 1st World War, has been vandalised. The commemorative figure had been standing at the end of Kemps Road. A resident of Rochester Way had spotted the damaged Silent Soldier and took the figure home. 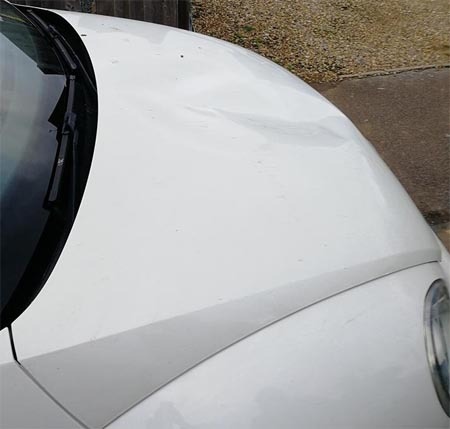 The Parish Council were alerted and have told Adderbury News that following an assessment there is too much damaged to repair it. Nigel Randall is Chairman of the Adderbury and Milton branch of the Royal British Legion. 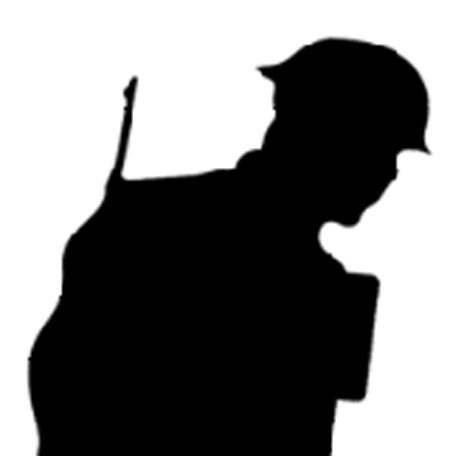 Mr Randall told Adderbury News, “It is with great sadness that I learned of the recent increase in vandalism around the village and, particularly the damage done to the Silent Soldier silhouette. In this particular case I almost feel pity for offenders because they, probably unwittingly, have dishonoured their own family members who, 3 generations ago, faced the suffering and turmoil of WW1. “The local community sponsored the Silent Soldier last year to recognise and celebrate the 100th Anniversary of the WW1 Armistice Treaty, and to honour those that did not come home. So, the criminal damage done in this instance is more than just high jinx by those concerned, it is an insult to their and our forefathers. Shame on them”. Silent Soldiers were introduced by the Royal British Legion who invited the public to “take part in a movement to say 'Thank You' to the First World War generation who served, sacrificed, rebuilt and changed the nation”. Adderbury’s Silent Soldiers were paid for by the Parish Council with a donation from the Adderbury branch of the Royal British Legion. Adderbury Parish Council Vice-Chairman Keith Mitchell CBE explained how the location for this particular Silent Soldier had been selected. Councillor Mitchell told Adderbury News, "We chose this position because the houses on The Crescent were built for returning soldiers from the Second World War and it seemed to be an appropriate spot for our Silent Soldier to stand guard". The damage to the Silent Soldier occurred during a weekend when a number of other incidents happened in the village. The new Barwood Homes site (opposite where the Silent Solider had stood) suffered trespassing with youths climbing scaffolding, the illegal use of laser pens and damage to plasterboard in the homes being built. Similar events have occurred during previous weeks and Adderbury News understands the culprits may have been caught on CCTV. 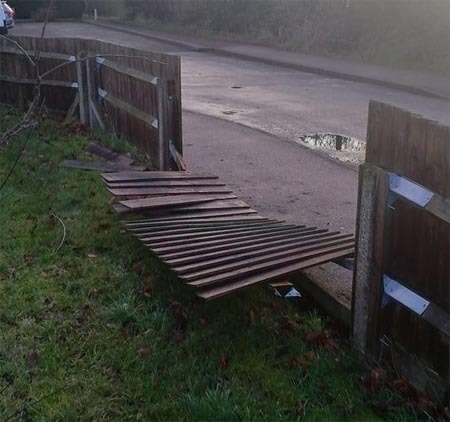 Close by in Kemps Close, Tom Jordan told Adderbury News his fence had been knocked down by vandals over Saturday night and his neighbours vehicle had also been damaged. He said that he had spotted the Silent Soldier on Sunday morning and stood it back up. Mr Jordan said that his family were keen to try and fix the Silent Soldier so it could once again be placed proudly back in position. Meanwhile anger has been expressed by a number of local people. Writing on the Adderbury News Facebook page Jacqui Giles said, “This is absolutely disgusting. My father passed last Christmas. He was in the 2nd World War, a para, and taken prisoner in Arnhem. He fought for his country, so we could have a future and some little ..... finds it acceptable to do this, is just too much quite frankly”. Roz Gladden added, “This is awful what sort of people live in this village, pity we can’t find out who did it and make them pay for a replacement”. Parish Council Vice-Chairman Keith Mitchell joined those condemning the vandals. 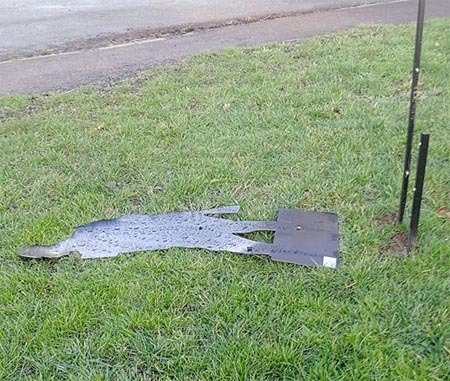 He told Adderbury News, "I am sorry to say our Silent Soldier has been brutally vandalised. I can only assume this was done by one or more mindless oiks who should have known better. Our Silent Soldier stood guard there to remind us of the courage shown and sacrifice made by many in the 1914-18 World War and also in the Second World War and many other conflicts. The mindless oiks who did this need to be reminded that they have their freedom under the law in this country because of those who gave their lives in that cause. I fear they will never be caught and, even if they were, I doubt they would suffer a fitting punishment for their appalling behaviour. However, I hope they read this and reflect on their dismal affront to our military heroes".